A health trust took a regional daily to the press watchdog after the newspaper failed to approach it for comment over a story which claimed an A&E unit was closing. 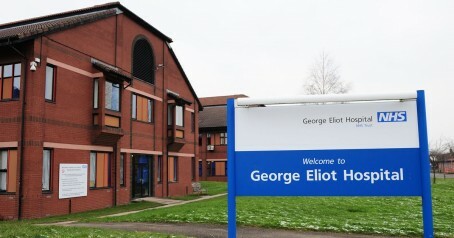 The University Hospital Coventry and Warwickshire (UHCW) NHS Trust complained it was only contacted once a story had been published by the Coventry Telegraph reporting A&E facilities at George Eliot Hospital, in Nuneaton, would close. The Telegraph blamed an “oversight” for the error, and has since published a correction over the matter. The trust also complained that three of the Telegraph’s sister weeklies – Hinckley Times, Nuneaton News and Tamworth Herald – had published the closure claim the following day. However, those papers carried a comment from the trust as part of their coverage. The story said that sources had leaked details of the planned changes ahead of the release of the Coventry and Warwickshire Sustainability and Transformation Plan (STP), adding the plans also included restrictions on overweight people and smokers getting non-emergency surgery. The Trinity Mirror-owned titles told the Independent Press Standards Organisation they analysed the document used as the basis for the story in detail, and after being briefed by a source, came to the view that there were plans to close Nuneaton A&E. In its complaint to IPSO under Clause 1 (Accuracy) of the Editors’ Code of Practice, the trust said he STP did not support what was reported in the article. In particular, it was said it was inaccurate to report that the A&E in Nuneaton would close, or that there would be restrictions on surgery for those who were overweight, smoked, or were over a certain age. Following the Telegraph’s admission about the “oversight”, they agreed to carry a correction regarding the closure claim on page two and online. The same correction was also published in the Times, News and Herald. IPSO made no adjudication, and the full resolution statements can be read here. Oversight? When all the talk is how we older journalists are living in the past and that standards weren’t better in ‘our day’, we have a new excuse. I wasn’t shoplifting from Tesco’s it was just an oversight that I didn’t pay. Sad days when journalists can’t do the job properly. The reporter – and I guess this would be one story shared in the TM papers – and his superiors, news editor and editor would have been treated very seriously 20 years ago. Today, I guess they’ll shrug shoulders, have a laugh and think the NHS managers were being harsh. Saddened Journo getting increasingly sadder. Older hacks will squirm at this amateur effort. Who trains them? Who checks them? Who cares? Arguments on here are often deliberately misrepresented with straw men so big they’d give Edward Woodward the urge to go and jump in a bubble bath, usually with the idea that if you’re not down with the modern way of doing things it’s because you fear the internet or whatever. ‘Oh here come the dinosaurs’ They say. But it’s nothing to do with print vs digital, it’s to do with journalism vs garbage – and this is garbage, as the vast, vast majority of ‘content’ being churned out now is. The IPSO is a joke, they never seem to take any action. If I could set the rules, newspapers would be heavily fined or banned from printing their rag for a day. They need to be hit where it hurts, instead of paying poor wages to overworked trainees with little experience.